This is an important decision that you and your family have to make. I hope to provide you with the tools and resources to make the best decision for your baby. The goal of this presentation is to present both sides of this issue. I know the issue of vaccination brings out some very strong feelings on both sides, and we’re going to try to look at the whole issue objectively. The Centers for Disease Control is the government entity that oversees vaccination policy. This group exists to protect the PUBLIC health and we need to look at their recommendations as a PUBLIC issue. CDC policy exists to prevent epidemics. The CDC is not some government agency that is conspiring with the drug companies to make money, even though there are some connections between those making policy at the CDC and the drug companies that are, in my opinion, potentially inappropriate. So, lets look at the public issue of vaccinations. In years before vaccination programs diseases spread rapidly and severely injured or even killed large numbers of innocent children. Diseases like polio were uncontrolled and did great harm to American children. Since the introduction of vaccination there are rarely, if ever, widespread epidemics in the US. It cannot be denied that vaccines have saved the lives of children. Vaccinations create a “herd immunity” to diseases. The best example of this is the case of rabies. At one time over 50% of all rabies cases in the United States were caused by dog bites. Today, because of a vaccine program that is mandated for dog’s rabies is NEVER spread through dog bites. In fact there has not been a case of rabies spread by a dog bite in the US in over 20 years! Countries that do not vaccinate their dogs for rabies continue to see similar rates of rabies infection by dog bites. The vaccination program in the US has created a “herd immunity”, meaning that the dogs in this country are not susceptible to the disease anymore (so long as they are vaccinated). This shows that a well designed vaccine program does work on a public health scale. The CDC has large amounts of data that suggest the overall safety of vaccinations. They contend that “vaccines offer protection without disease”. 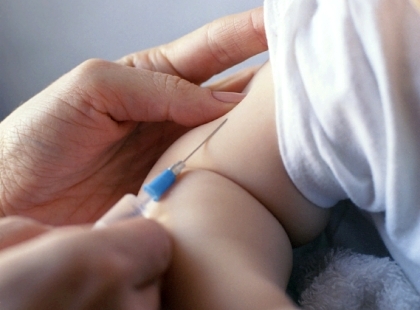 Research shows that there are very few injuries caused directly by childhood vaccinations. The program has worked so well in fact that in late 1980’s and early 1990’s it was significantly expanded. In the early 1980’s children were vaccinated against 4 diseases, now by the age of 2 kids are vaccinated against 11 diseases with sometimes over 20 vaccinations. These vaccinations have made diseases like chickenpox almost unheard of today. In fact, I know a child who got chickenpox naturally and because of dehydration had to go to the hospital with it. The parents said every intern was brought in to see this rare disease! We have vaccination policies to thank today for the near elimination of polio, whooping cough, tetanus, measles, mumps, and rabies. And there have been few injuries to children along the way. Earlier we stated that CDC makes policy that is good for the PUBLIC as a whole and not necessarily the individual. There are some alarming statistics that have come about since the expansion of the vaccine schedule. “For the first time in history, U.S. [and Canadian] children are sicker than the generation before them. They’re not just a little worse off, they are precipitously worse off physically, emotionally, educationally and developmentally. The statistics have been repeated so often, they are almost boring. There are 2 arguments against vaccines that need to be addressed. First, the thimerosal/mercury debate. Between 1988 and 1992 children were given large amounts not only of vaccine, but also of a preservative called thimerosal, which contains mercury. These children received much larger dose of mercury from their vaccines than the FDA considers safe. Today their parents believe this caused this generation of kids to have higher rates of autism. While this is a very hotly debated issue, we have to note that the rate of autism is much higher in recent years. The CDC states that studies have shown that there is probably no greater incidence of autism in children given vaccines with mercury compared with those who didn’t get the mercury. But there is a MUCH higher incidence of autism today compared with before the additions of the new vaccinations to the schedule. Additionally, the CDC has removed thimerosal from most vaccinations given to children (except the flu vaccine and DPaT, Tetanus, Hepatitis B, and Meningitis). So, the real issue surrounding this is whether the parents of children who were vaccinated between 1988 and 1992 should be compensated for the damages their children may or may not have suffered. Since there is so much money at stake this will continue to be a hot debate for years to come, but the lower levels of mercury in current vaccines mean that children today have a lesser risk of suffering from the problems of 1988 – 1992. However, I still hate the idea of any level of mercury being intentionally put into a child and the vaccines that contain it should be used with caution. A few additional ingredients found in current vaccinations, according to the CDC, that you may want to know about include formaldehyde, MSG, Aluminum, chick skin, chick kidney cells, chicken embryo, mouse brain culture (yes you did read that correctly). The second, and I think more important argument against vaccines is the way vaccines stimulate the immune system and the effect that has on allergy and auto immune conditions. To explain this argument we need to first explain how your immune system works. This is the most current information on immunity. In fact basic medical texts still do not contain this explanation of the immune system. Just 3 years ago the text we used in chiropractic school (a standard in health care texts) made NO mention of this. So, the explanation you get for how vaccines work is usually over simplified, not because the nurses and pediatricians are trying to patronize you, but actually because they may not know this information. What they know and have probably told you is this: “A small amount of a dead, or weakened virus or toxin is injected into the body. The body develops antibodies and remembers how to create those antibodies so when the real virus comes along you fight it off quickly and never show signs of the disease.” The immune system is a lot more complex than this leads us to believe. There are two sides to your immune system: one side makes antibodies in the blood and kills germs while the other causes symptoms that help the body eliminate the germs on a larger scale. The in the blood side is referred to as humoral immunity or Th2 immunity while the rest of the body’s immune response, specifically the lymphatics, thymus gland and spleen is called cell mediated or Th1 immunity. For simplicity’s sake I’m only going to use the Th1 and Th2 names. Th2 causes a large inflammatory reaction throughout your body while Th1 causes fever, vomiting, rashes, etc. What vaccines do is exactly what the health department or pediatrician told you. They stimulate the Th2 system to learn to make antibodies and cause a massive inflammatory reaction when the virus is encountered later. The Th1 system is activated very little or not at all by vaccines. We know this because you don’t have symptoms when you get a shot. If you got a disease naturally both sides of the system would be used to kill the invader and a sort of balance would be maintained. What is really interesting about this is that some people seem to be more Th1 dominant or Th2 dominant, meaning some people show very few symptoms of a disease, while others show all the symptoms when they get sick. Since vaccines stimulate only a Th2 response, children who receive many vaccines, or many vaccines all at once tend to move to a more Th2 dominant state, making them more likely to experience large inflammatory reactions when exposed to outside stimuli like germs or even pollen and other allergens. They are also more likely to suffer from auto-immune conditions. Basically, Th2 dominant people have more problems with asthma and allergies and auto-immune diseases than Th1 dominant people and we are training our children’s immune systems with vaccines to be Th2 dominant. Vaccines won’t cause problems in children who are more Th1 dominant, but if you start out Th2 dominant and then train your body to become more Th2 dominant you could be heading down an unhealthy road. Since CDC policy is about PUBLIC health, these are not concerns for the CDC. The last thing I want to close with on the anti-vaccine side is the role of CDC. Remember the dog example and how wonderful it is to have no rabies? And it is wonderful for us to not have rabies in our society, but that vaccine is not completely safe either. Some dogs do have adverse side effects and even die from it. There was actually a case of this here in Columbus not long ago when the humane society did a vaccine clinic. It was all over the news because the humane society didn’t inform the owner of the risks before administering the vaccine and the dog died. So, while rabies vaccine policy is good for the whole, it isn’t necessarily good for each individual part of the whole and it certainly wasn’t good for that dog or its owner. The same is true for human vaccine policy. There is some risk and the CDCs concern is not about how many kids today have allergies and auto-immune diseases, but rather how to control the PUBLIC spread of infectious disease. So you need to make the right decision for your child and consider everything and not just follow the CDC guidelines blindly. So, I hope this was somewhat balanced. I know I can’t be completely objective, especially since the anti-vaccine side is always so poorly displayed as ignorant by the media and the medical community. There are strong arguments both for and against vaccines and the best thing for us to do as parents is consider everything before vaccinating. Your living environment is extremely important in your decision. For the record, Jack has not been vaccinated at this point. He may be vaccinated when his immune system has developed further, but probably not with all of the vaccines available. We considered this. We live in non-densely populated area where disease spread is slow, he was not taken out a lot when he was very little and he was and still is breastfed to maintain immunity through breast milk and eats a very healthy diet and has no nutritional deficiencies. All of these factors contributed to our decision and I think we should all consider our individual situation before making this decision. Great Article: “How vaccinations work” by Philip F. Inco, M.D. National Vaccine Information Center (NVIC): http://www.nvic.org// where you can report a vaccine reaction, harassment. Also look for the downloadable pdf flyer to help you determine the signs and symptoms of a vaccine reaction. Canadian-based Vaccination Risk Awareness Network (VRAN) provides in-depth information on vaccine risk’s and side effects. www.vran.org. Are your skin care products safe? Apple Cider, the old fashioned way!